Telegram is definitely growing among the instant messaging apps out there and now it has a huge user base and currently has crossed 100 Million Downloads on Play Store. This messaging app comes with some nice set of features that you should know about. 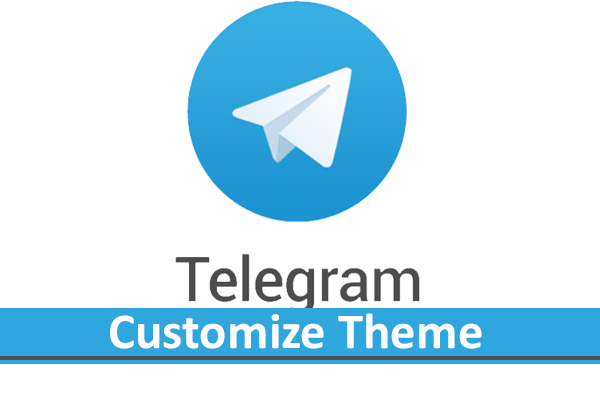 For those who want to know top coolest features of Telegram Messenger then you are reading the write article. 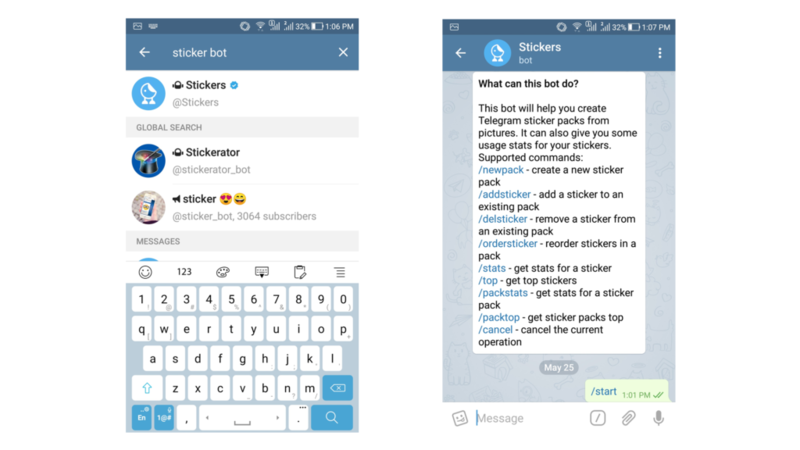 In this article we will cover top 10 features of Telegram Messenger app. 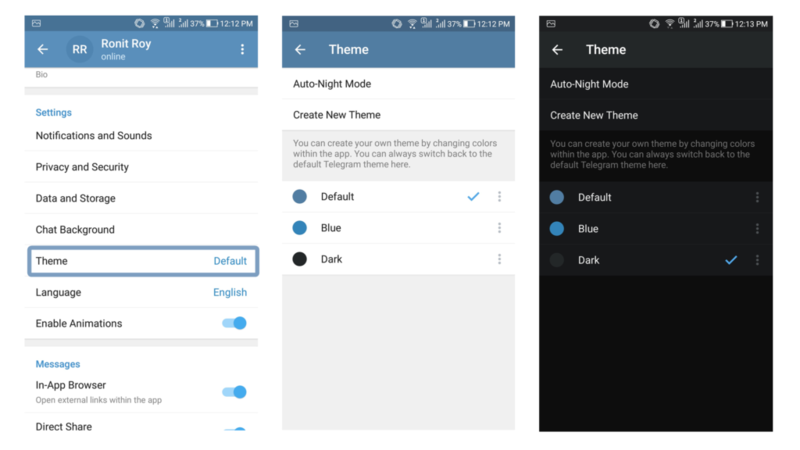 Dark Theme is one of the most popular features in Telegram messenger app and one of the most used feature. This feature cannot be found in apps like Whatsapp and FB messenger. Go to “Settings” -> “Theme” . When you tap on disable, you disable the Auto-Night mode. When you tap on schedule, you can schedule a theme from a particular amount of time. When you tap on Automatic, you will automatically switch to your preferred night theme when the light fallen is below 20%. One of the cool feature of this app is that you can set your own custom them. You just have to tap on “Create New Theme.” When tapped you will first give a name to the theme and then you will find a theme icon on the top right, when you can customize your own color. What if you don’t want into this complicated process. 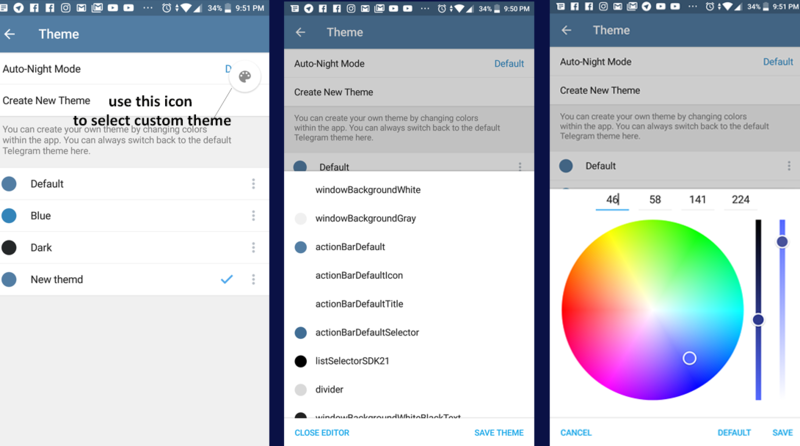 You still have an opportunity to just select the default theme color, blue or dark. Sometimes we want to change the text of the sent message to give a better explanation of our statements or maybe we just want to correct our spelling mistakes. This is where the capability to edit our sent messages comes handy. 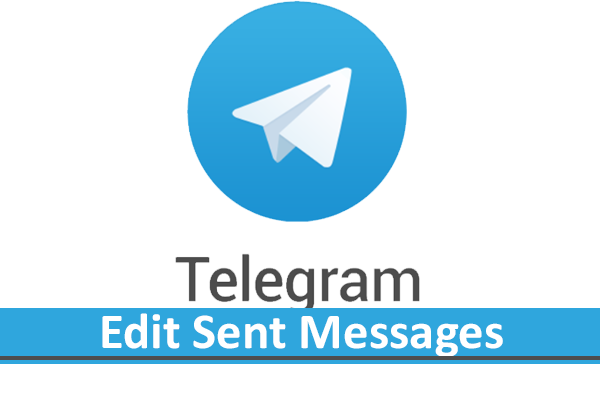 In Telegram we can edit our messages anytime we want. Now edit the message you want to resend. Do note that, when you edit a message, it adds a tiny edited text at the bottom of your message which is visible to use the other user. Group messages can also be edited. Bots can be used for several different purposes. For example you can search for images, gifs, videos etc. Bots can be used in their own personal chat boxes or even in groups. The telegram messenger app comes with a bunch of cool stickers & it is really hard to make a count of each one of them. To make this happen, then have added a very cool feature to save your own sticker collection form the app or even a user has sent you the sticker. If a use has sent you a sticker & you want to get that complete sticker pack then you can just get it in just one tap. When you tap on the received sticker you will get a preview to add the sticker pack to your collection. This is how you can keep the list of stickers in your own collection. Custom Notifications allow the users to identify if a message has arrived from a specific person or a specific group. A group of different combinations can be set to make a particular notification unique. This feature can be helpful when you’re working & you want to give attention to some specific but, important chats. Open that specific chat & click on the top area where you can access the profile data of that person. Then click on Notifications > Customize. Now you can set a unique combination of sounds, vibration & even a custom color for your LED notification. Note: This is also available for the in-app voice calls. 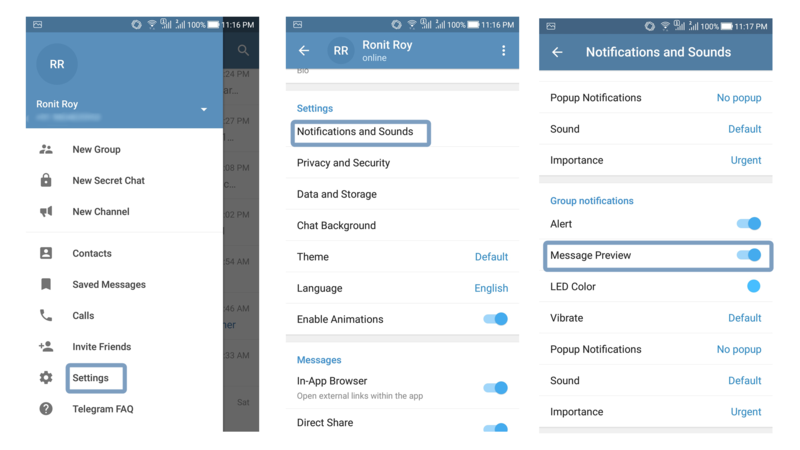 For Groups the process is exactly the same but, you get an extra feature called Smart Notifications which allows setting how many times you’ll like to receive a notification sound within a certain timespan. 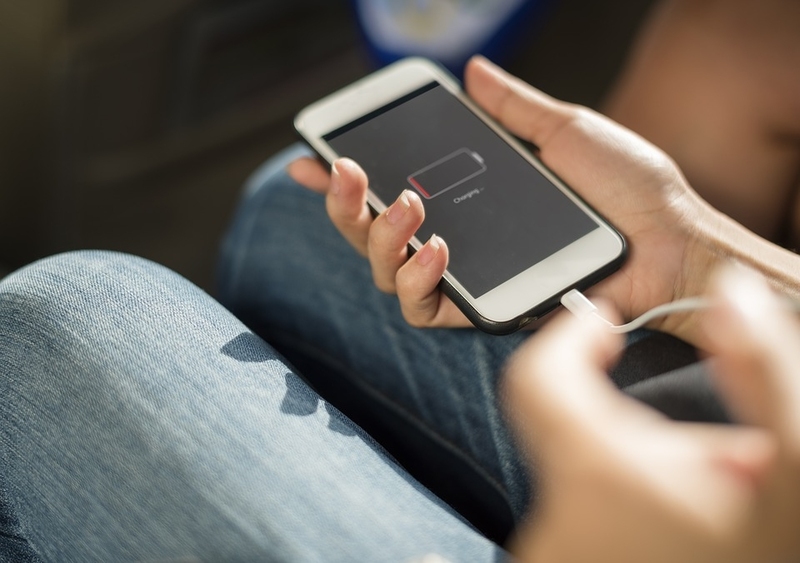 A Supergroup is a special kind of group where you’ll generally do your discussion about a specific topic or maybe something related to your work. Here the new users are able to see the complete chat history of that group, deleting a message will automatically delete it from everyone’s chat boxes & the admin can even generate invite links for that group. To create a Supergroup, you’ll have to convert to it from a normal group. Open your desired group (you must be an admin) & click on the Navigation Dots on the top right corner of the screen. Then click on “Convert to supergroup” & it’ll take you to the desired page where you can convert your group to a Supergroup. One Thing to keep in mind is that, once you convert a group to a supergroup, you cannot revert back to a normal group again in the future. So, be sure that you want to keep the group as a supergroup forever. Secret Chats in Telegram is used to protect the data & privacy of the users depending upon their preferences. Secret chats are based on end-to-end encryption which leads to zero traces of that chat on the servers of the company. 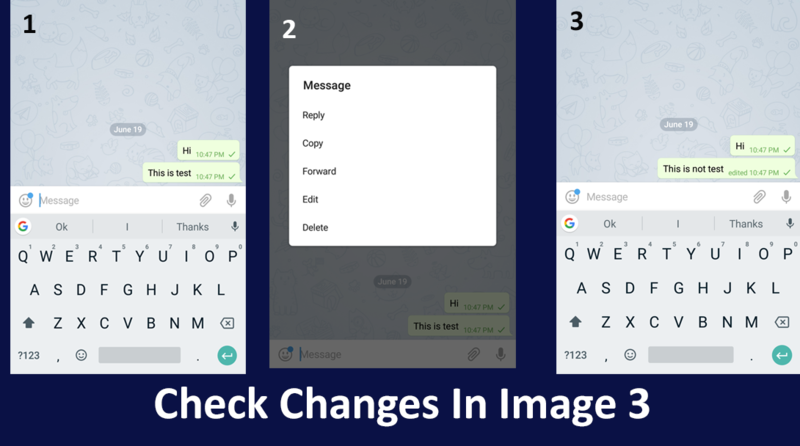 In Whatsapp, this feature is enabled by default but, for some reason, it is only available under secret chat in Telegram. Select “New Secret Chat” & select your desired contact. Secret Chat also comes with several other privacy features, like “Self Destruction” where you can auto destruct (delete) a chat after a certain period of time. Note: You cannot screenshot a super chat as it’ll show a black screen instead. Also, it’ll show an alert message inside the chat that you’ve tried to take a screenshot. Channels are literally chats where an entity can engage with their audience. These entities can be companies & even communities. There are two types of Channels on Telegram including “Public” & “Private” channels. Public channels are universal so, they appear in search results & anyone can subscribe to public channels. On the other hand, Private chats are not discoverable on search & people can only join them with an invite link from the admin. 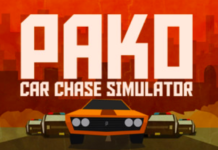 Finally create a custom link for your channel before you can create it. In a channel, the admins can also see how many subscribers have seen their messages so, it becomes much easier to monitor their audience. You can share your location with someone on many platforms but, Telegram added the capability to give your contacts the access of your live location. So, literally if you want someone from your family to track you when you’re outside or let your friend find you while you’re continuously moving from one place to another in a random place, this feature can come really handy. The Live Location feature is available under the attachment section of chats. Clicking on the Location icon, shows two options for location sharing. The first one is to share your current location & the second one actually lets you send your live location. 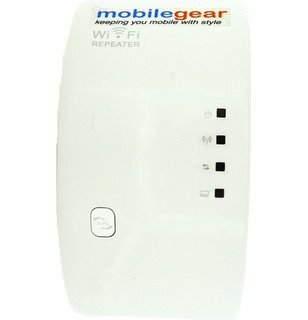 You can also set for how much time the other person will have access to your location. Do note that, sharing your live location might be a privacy issue so, I recommend using this feature only when you absolutely need it & sharing with the people who you actually trust. Message previews can be frustrating sometimes especially when someone else is using your phone. Maybe one of your random friends have a habit of sending occured jokes time to time or you receive confidential messages from the company you work in. You probably don’t ant anyone else to read any of those messages which is even doable from the lockscreen. So, in Telegram you can literally turn off those Message Previews. Go to “Settings” > “Notifications & Sounds” > “Message Preview”. From there you can turn off all message previews. When you finally feel that there is no one to spy around your phone anymore, you can turn Message Preview on again & see the previews in Notifications normally. So, that’s literally it for this article. Do try all these tricks & come back in the comments section to let me know if these were helpful to you. Thanks for reading & keep checking back for more articles just like this one.